The Jens Hansen team are proud to announce the creation of the first completely accurate replica of the ring originally created by us and depicted in the LOTR movie trilogy as Vilya. In the Tolkien books Vilya is the name of the Elven Ring of Power worn by Elrond (Hugo Weaving). The original ring for the movie was created by Thorkild Hansen at the request of Peter Jackson's Art Direction team. 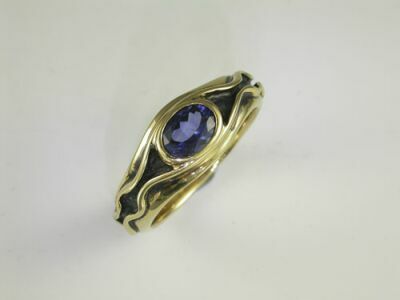 The ring was made for a client in the UK and is solid 18ct yellow gold and set with a beautiful bright blue ceylon sapphire. 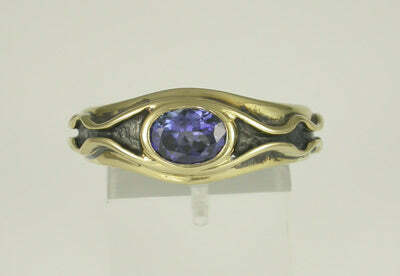 I want to have this ring, but it was too expensive.